Budget. Operational revenue. Necessary operational continuation. Challenges in those regards. They will have to calculate in the higher service costs. Compare to the same budget-class competitors. Use concrete competitors in that segment as an example of suggested required improvements. We can't transcend the laws of physics and economics, only by ideal requirements. There is a monetary cost associated with the refined details of the better service transparency. Nothing is really for free. Nonetheless, your experience is terrible, and is indicative of limitations by Chuwi for daily personal continuation. It's not for commercial use, nor to be overused for personal use without personal backup devices. That's sad. Not that unexpected. I'm quite undecided in how to rate Chuwi products. On one hand I agree to 'Techdragonz' opinion. Expensive brand products have issues too. 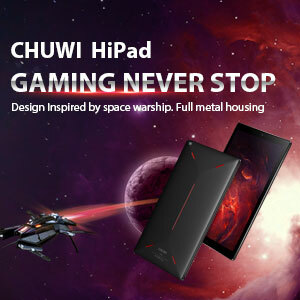 Chuwi has some unique products like the Hi13, I'm addicted to the screen resolution. I personally had only minor driver issues which might be more a Windows 10 update issue. Concerning hardware I'm not sure. The HI13 charger issue with the hazardous plug is severe and finding a better solution needs time and adds extra cost. I feel I can't realy trust in my device also I didn't really experience severe trouble the passed 2 months. Finally I haven't stressed my device much and think it might probably not stand rough use. I didn't try Chuwi service but my impression is it does not work out when needed. Online support is also weak, more or less just this forum. Don't know if there is more on the Chinese pages, it should be all in English too. 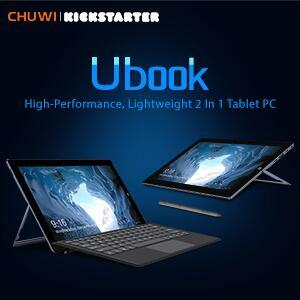 Not sure if Chuwi devices are bargains, but you get interesting devices for little money. 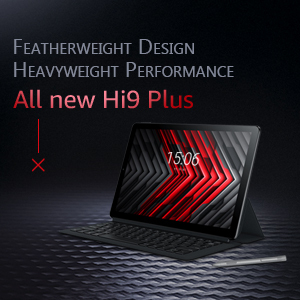 Hi13 isn't a high end performer but what do you get elsewhere for about 300€...? You can get at least 4 for the price of one basic SurfaceBook (which is more powerful of course) and Hi13 can do a lot. Believe it or not, I've tried to use MS Visual Studio for programing little things and this works too... not superfast but ok, just some more eMMC would be nice. Ask me again after 12 months, 3 years and 5 years... I used to use my desktops at least for 5 years before thinking about something new and usually they kept working up to 10 years. Guess times are over you could use machines that long, unfortunately. Tablets are kind of disposables. Lets see if my old 7" budget Asus survives it's 5th year... the battery management sometime goes crazy and resources are getting more and more insufficient. It's also much slower than when I bought it and I guess that's from wearing eMMC over time. Chuwi has some of the hottest devices! IMO ofcourse. Look at that Lapbook air, I fell in love with the design as soon as I saw it... If not for the weak processor they put in (Thus it being a Core M3) Id have bought it! Yea, like we said before, chuwi tried with the forum, but that's all. We mods could all agree that even we are left behind. You'd expect us, who are actually the only decent 'customer service' chuwi has, to get more inside info regarding the systems and such, but no, we dont even know when there is a new hardware revision made thus resulting in lots of issues! For the price, I won't call it a bargain... It is cheap, yes, but there are better spec to money tablets out there... But there is something about Chuwi devices... Their designs are always soooo beautiful... If only they would change their marketing strategy because now it is: Make it as cheap as possible so most people can afford it. 300 bucks is the ideal price range... The issue with that is, lots of people including me would have loved to pay that 100 bucks more for an SSD and a core M3 processor... But it is just not the way Chuwi thinks. Its all about the salesnumbers. 4-25-2019 15:55 GMT-8 , Processed in 1.462707 second(s), 25 queries .